White's Farm Supply Inc., local dealer of Cub Cadet outdoor power equipment located in Canastota, N.Y., recently earned distinction as one of the top 65 Cub Cadet independent retailers in America for 2018. 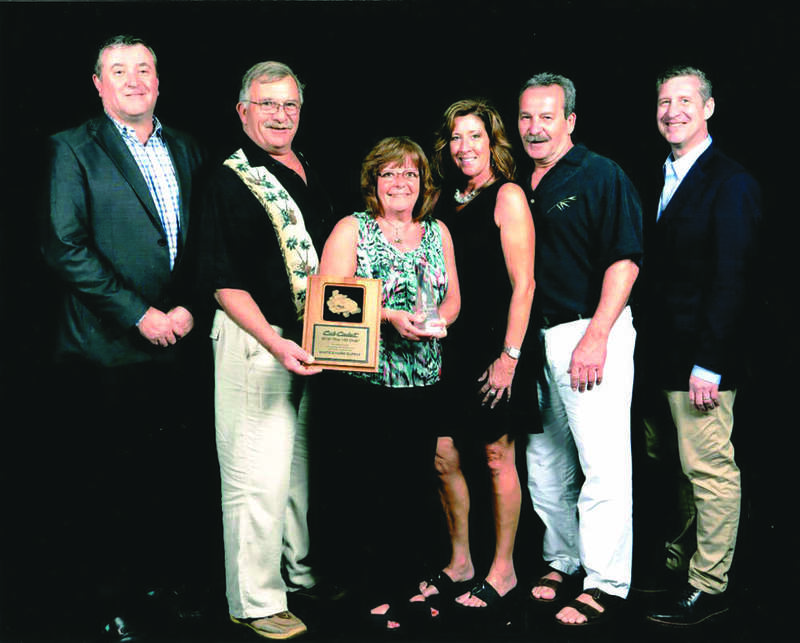 White's Farm Supply Inc. received recognition for this achievement during an exclusive trip to the Hyatt Ziva Rose Hall All-inclusive Resort in Montego Bay, Jamaica. White's Farm Supply Inc. has been selling and servicing Cub Cadet equipment, including lawn and garden tractors, zero turn riding mowers, utility vehicles, snow blowers and more, for 58 years. They have earned distinction as a top-performing dealer 58 times. Art and Doug White accepted the recognition on behalf of White's Farm Supply Inc.
White's Farm Supply Inc. has four Cub Cadet locations in Canastota, Waterville, Lowville and Franklin, N.Y., and offers a complete line of Cub Cadet high-performance outdoor power equipment, genuine parts, accessories and attachments as well as expert service and advice. Customers can stop in during business hours to test drive any of the 2019 lineup of Cub Cadet equipment, or call Canastota (315/697-2214), Waterville (315/841-4181), Lowville (315/376-0300) or Franklin (607/829-2600) to arrange for service of their current outdoor power equipment.